In this photo of Skrillex DJing, he can be seen using Bang & Olufsen BeoPlay H6 headphones. 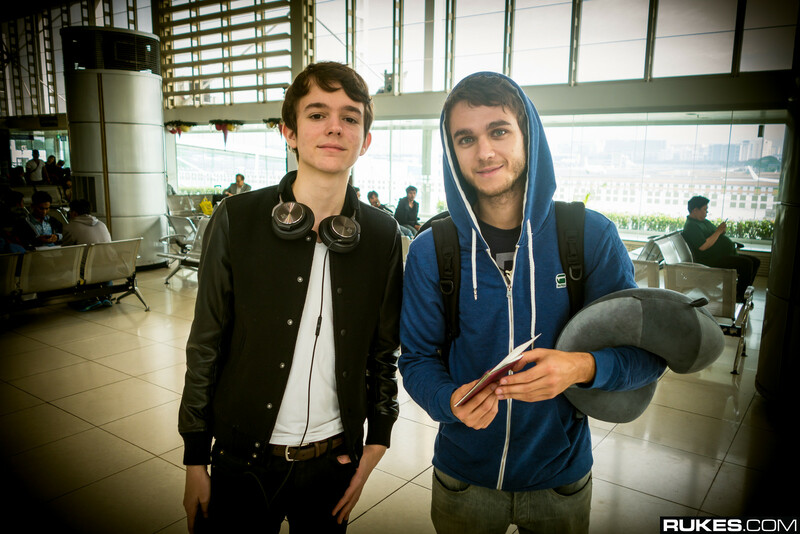 This photo on rukes.com shows Madeon wearing the Bang & Olufsen BeoPlay H6 headphones (in black) around his neck. The H6 comes in both Black and Natural Leather color variations.